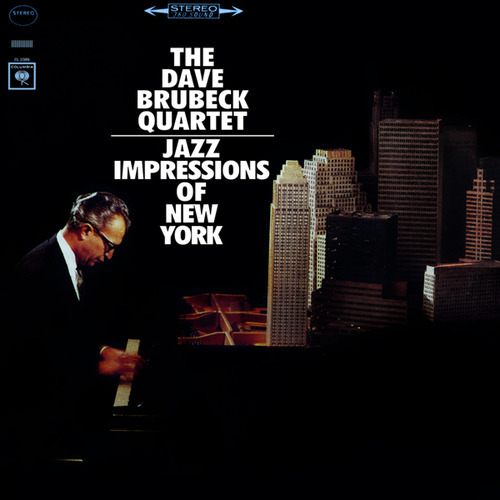 Jazz Impressions of New York is a jazz album released by Dave Brubeck. It developed out of Brubeck's association with the CBS television show Mr. Broadway starring Craig Stevens. Mr. Broadway is an American 13-episode CBS adventure and drama television series starring Craig Stevens as New York City public relations specialist Mike Bell. The program aired at 9 p.m. Eastern time Saturdays from September 26 to December 26, 1964. Also featured were Bell's assistant, Toki, portrayed by Lani Miyazaki, and his police contact, Hank McClure, played by Horace McMahon. Mr. Broadway, a Talent Associates Production, was created by Garson Kanin and produced by David Susskind and Daniel Melnick. Dave Brubeck supplied the music and theme. It was shot on location in New York City.